And I REALLY hope you read that using Oprah’s voice. 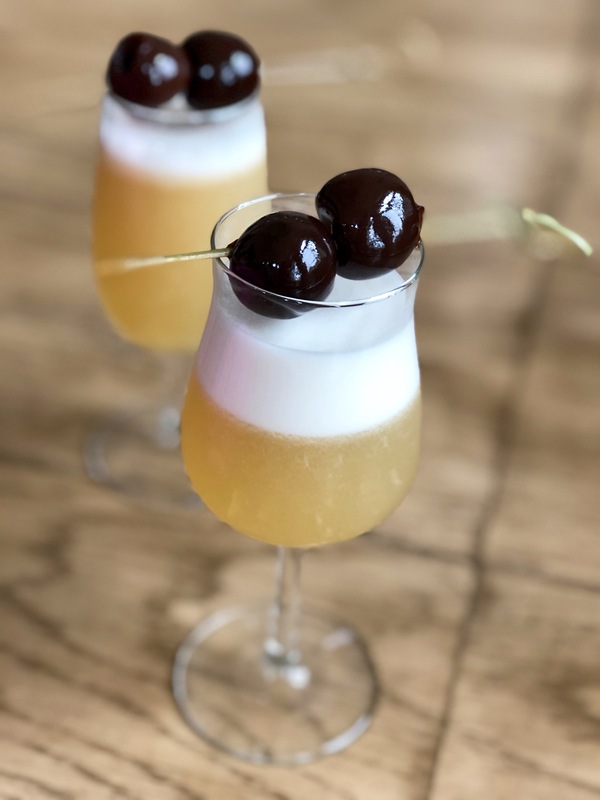 Since May is my most favorite month, I think it’s only right to share with you one of my favorite cocktails – the Classic Bourbon (or Whiskey) Sour. It’s simple, straight forward–and just makes me happy. But I don’t order these out too often because I find that many spots defer to using overly sweet sour mixes AND because they don’t use egg whites. If you read my last Fam Din recap, you know that I fixed these beauties up not only because I’m a fan of them but also because the classic version uses eggs. And eggs were our theme after all. The egg white doesn’t affect the flavor but it creates the most beautiful foam and viscosity to the drink. Trust me, it makes a difference. You know what else makes a difference? Use fresh lemons! I know, I know…it sounds a bit particular but there are so few ingredients that every bit counts. Make them now. Make them because now you know how. Make them because it’s May. Make them every day. Huh…I think I just had a Seuss moment there. Just make them because they’re delicious! Aaaand because it’s my birth-month so you have to! Yes. I celebrate the entire month. Yes. It’s the reason why it’s my favorite month. Fill your cocktail shaker with ice. Add bourbon, lemon juice, simple syrup, bitters and the egg white. Place the cap on the shaker and shake vigorously for 15-20 seconds. Remove cap, place strainer on top of the shaker and pour contents into a glass filled with ice. 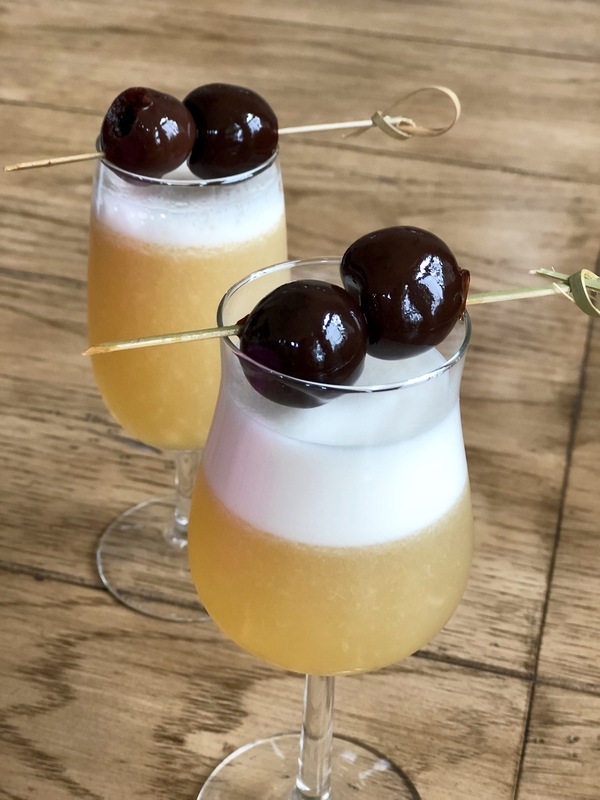 Garnish with the cherry and cheers! 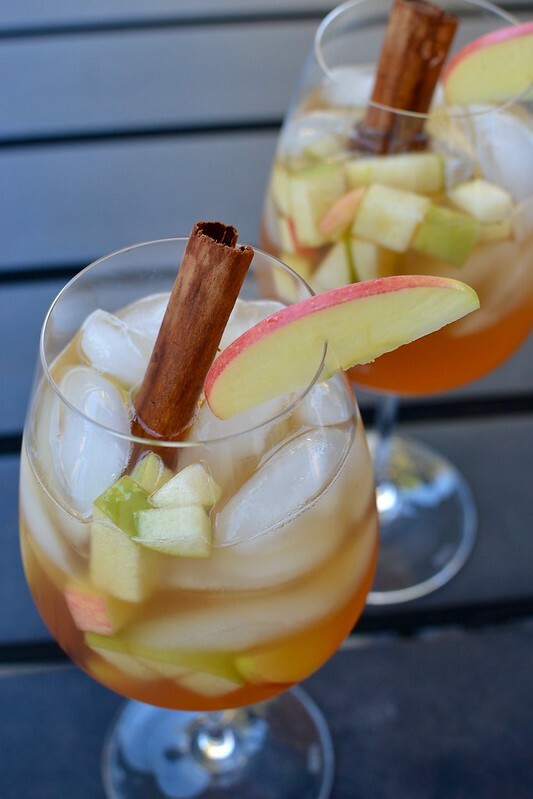 Apple Cider Sangria – Happy Thanksgiving! I have the most vivid memories of these ginormous glass jugs of apple cider we used to get while growing up in Minnesota. The cider was so sweet and fragrant–such a treat that a Little Nam just adored. And when I lived in the Bay Area, seester P and I would meander down to the Ferry Building Farmers Market to get wonderful goodies and snack on some the most delectable produce. Outside the Ferry Building, there’s one particular stand run by the most gorgeous family. I’m not kidding people–they are all stunning! And they’re apple farmers! In addition to their perfect apple varietals, they sold fresh icy cold, pressed apple cider. Those ciders were the inspiration for the Apple Cider Sangria I prepared for our latest Fam Din. 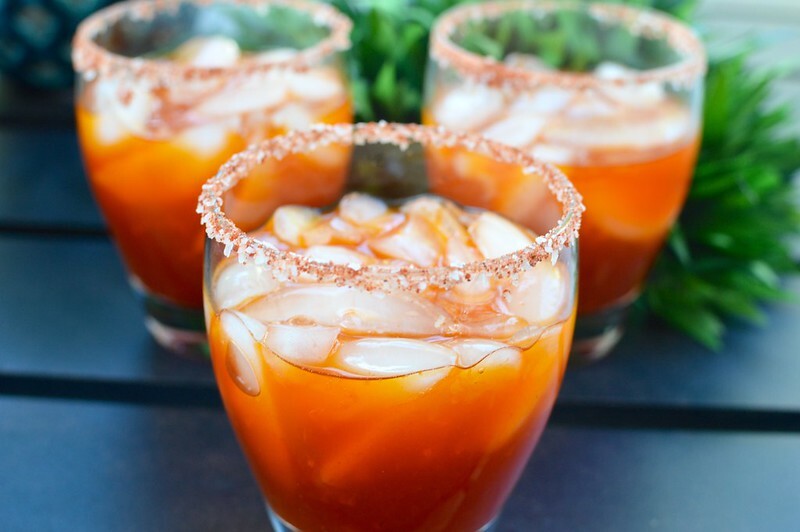 Sweet, lightly spiced and packs a hidden punch! 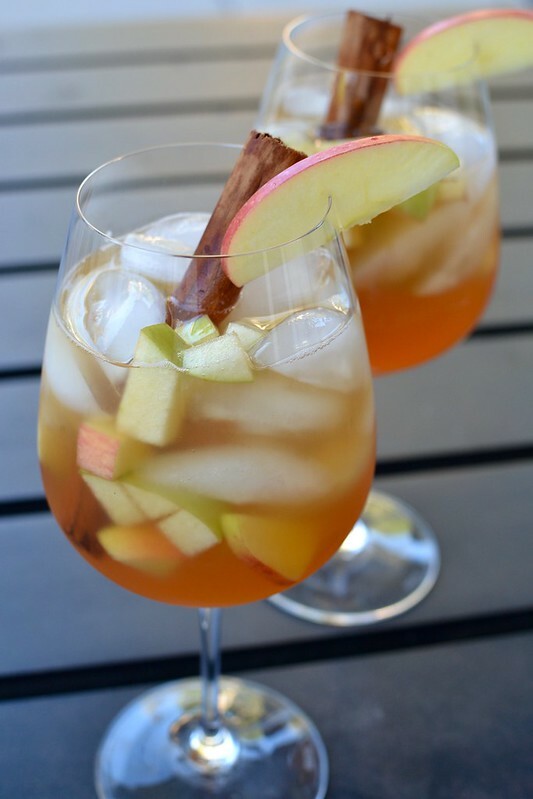 It starts off with a few bottles of white wine, apple cider, fresh fruit, and a few splashes of Calvados (an apple flavored brandy but you can substitute with any brandy/cognac of your choice). 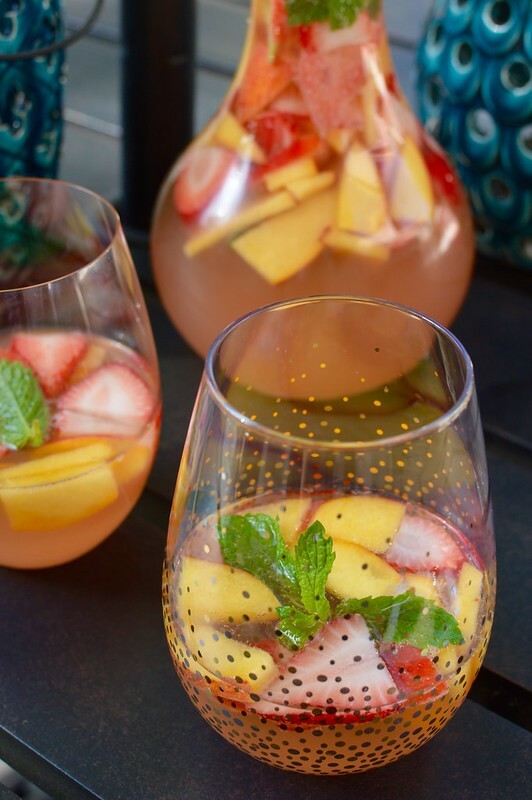 After the sangria refrigerates for a few hours to get the flavors partying together, it’s topped with a bit of sparkling wine for some effervescence. 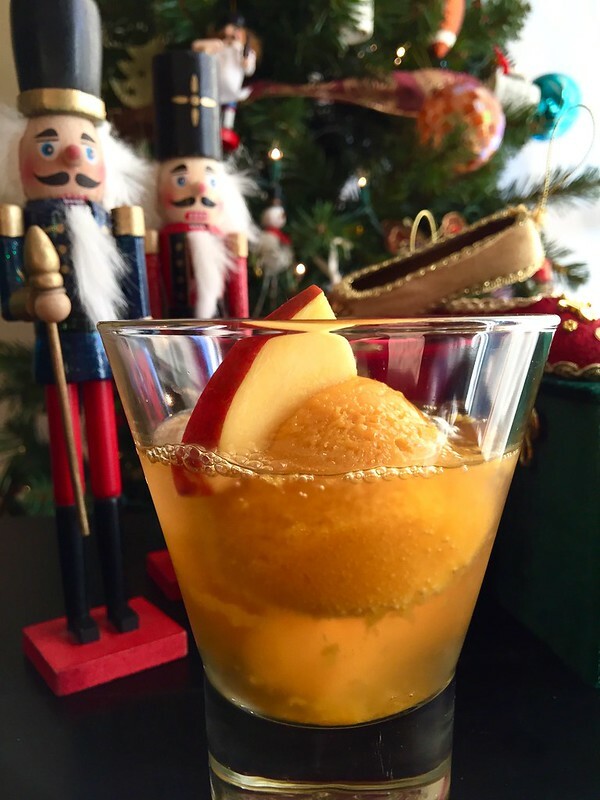 Since you can make it in big batches, it’s the perfect cocktail to serve up at your next holiday gathering. Or if you’re an apple cider junkee like me, just whip up a pitcher for yourself to sip on. 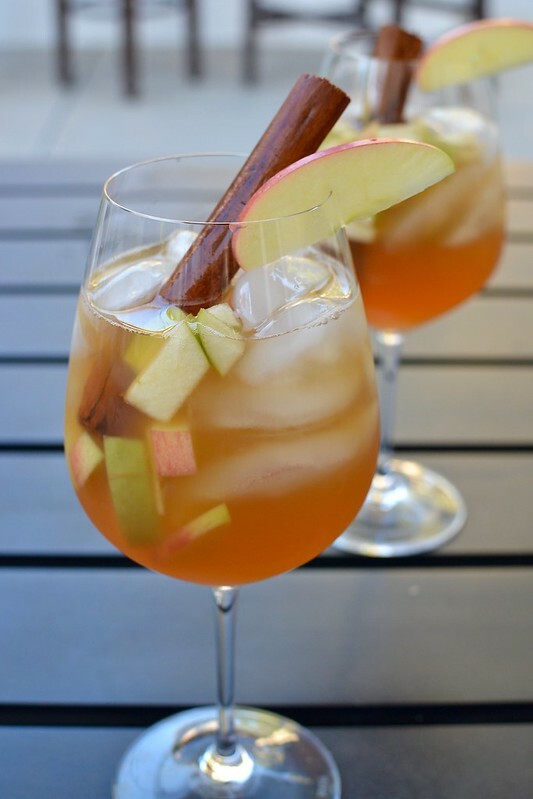 In a large container, combine the apples, pears, white wine and apple cider, Add in the Calvados, OJ and cinnamon sticks. Cover the pitcher and refrigerate overnight or at least 4-5 hours. Fill glasses with ice and pour in the sangria. Pour 2-3 ounces of chilled sparkling wine in each glass and gently stir the contents. 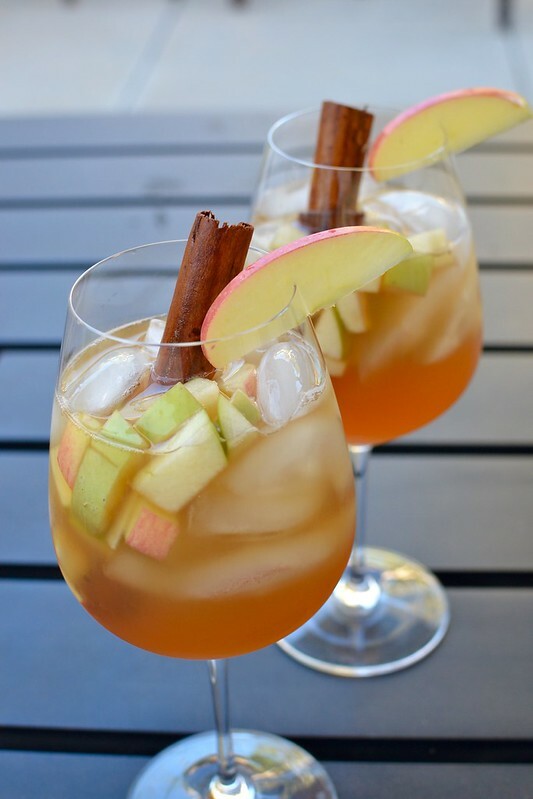 Garnish with additional apple slices and cinnamon sticks. 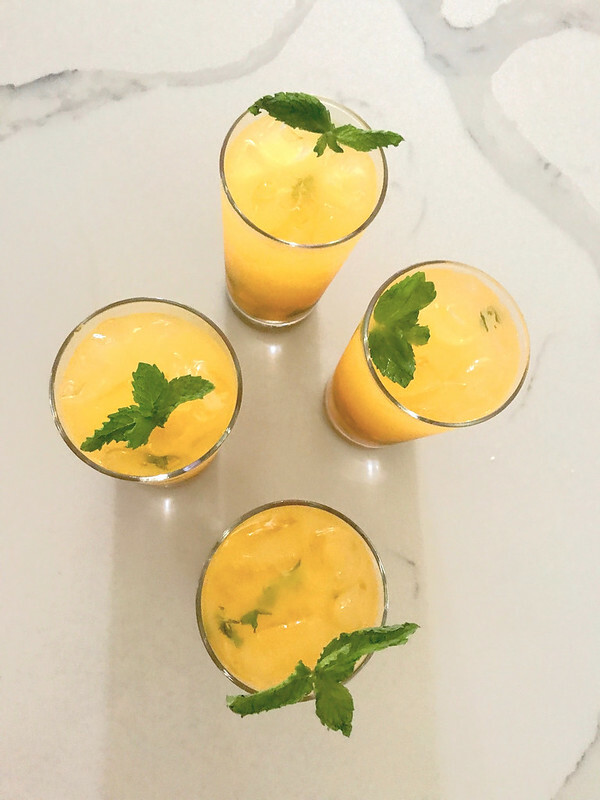 Since I posted the last Fam Din wrap up, I’ve received a few requests to share the recipe for our Fresh Mango Mojitos—and I’m happy to oblige! Mojitos are one of my favorite cocktails because it mixes the combinations of lots of tart citrus from the limes and freshness from the mint. But I rarely order it out because 9 out 10 times, I’m completely disappointed. Mojitos aren’t difficult to make–but it does take a bit of time to muddle everything together. Plus, I find that places skimp out on the limes and mint (BOO!!) and either use flat club soda or shake the carbonation out of it (DOUBLE BOO!) And that’s just a bad combination! Fuggetaboutit! Just make your own! 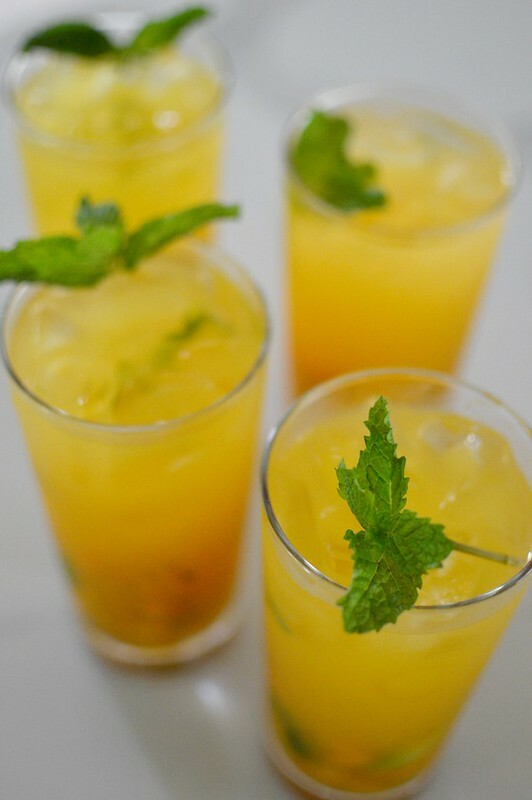 Fresh Mango Mojitos are truly a fantastic spin of the original. 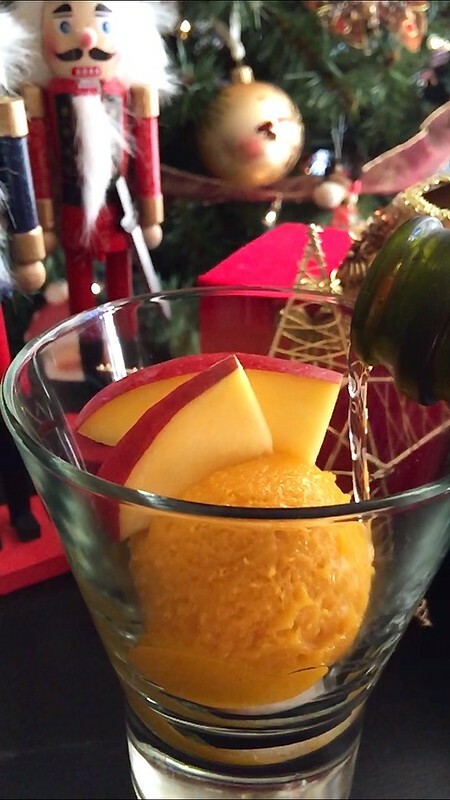 I use a combination of ripe mangoes (I prefer ataulfo mangoes) and mango nectar (LOVE the one from Trader Joe’s) to really punch up the floral mango flavor. Plus, since the fruit and nectar bring their own sweetness, there’s no need to add additional sugar or simple syrups in. In a cocktail shaker, thoroughly muddle the mint leaves and lime wedges. Add the light rum, mango nectar and fill the shaker with ice. Vigorously shake for 20 seconds and strain the liquids into a tall glass. Add the fresh mangoes and mash them in. Add ice to the glass and top with club soda. Gently stir the liquids together and garnish with additional mint leaves. With all the craziness going on right now, aren’t you happy to know that at least we have random holidays we can celebrate and temporarily take our minds off of the insanity? Brilliant holidays like the one today. And “what’s today” you may be asking? It’s National Rosé Day—-as in, Rosé Wine! And no, I didn’t make it up–though it does sound like something I would do. To honor this illustrious day, I’d like to share with you my Sparkling Rosé Sangria. It’s filled with fresh fruit, rosé wine, cognac, orange liqueur and is topped off with chilled sparkling wine right before serving. And my special addition? Fresh ginger root! 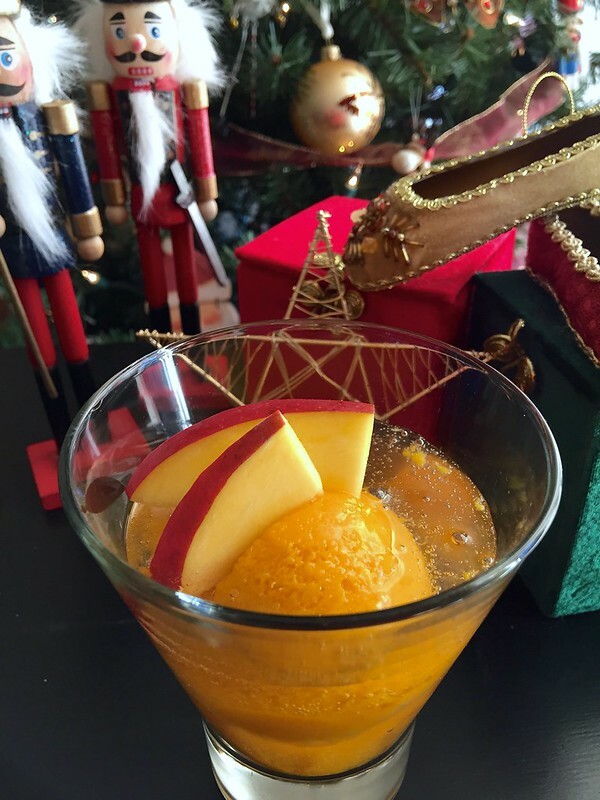 The ginger is steeped in the sangria for a few hours which imparts a subtle but bright flavor. The whole combination is like drinking summer in a glass! CHEERS Friends – and HAPPY NATIONAL ROSÉ DAY! With the back of a large chef’s knife (or mallet), carefully bruise the ginger to help release some of its juices–but be sure not to break it into smaller pieces. In a large pitcher, add the bruised ginger, simple syrup, lime juice, cognac, Cointreau, fruit and mint sprigs. Pour in the rosé wine and stir. Cover the pitcher and refrigerate for 4-5 hours. Once chilled, remove and discard the ginger and wilted mint sprigs. Fill glasses with ice and add the sangria. Pour 2-3 ounces of chilled sparkling wine in each glass and gently stir the contents. Garnish with additional mint leaves and serve. 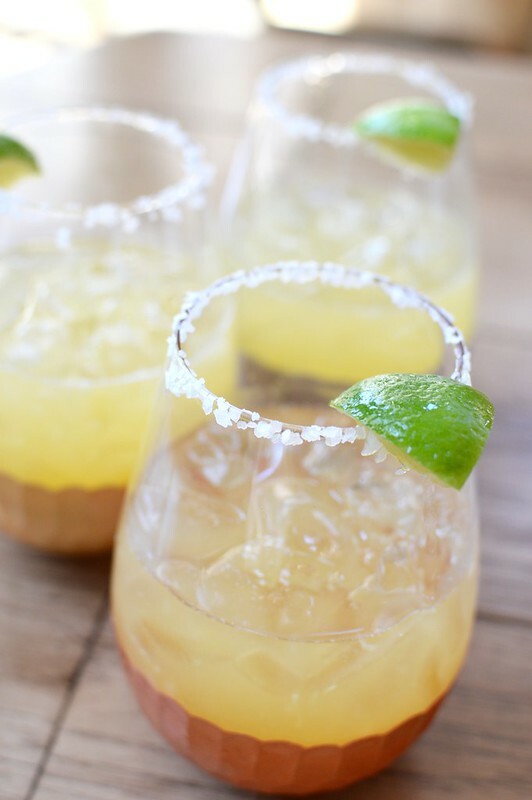 I adore margaritas….blended or on the rocks with salt–of course! Classic margs? Fruit flavored margs? YES– thank you! But please, no pre-made margarita mixes. More times than not, they are overly sweet and leave you with an artificial aftertaste. BLEH! And when you consider that the classic margarita is so simple and a GAJILLION times more tasty, the extra bit of effort is totally worth it. And the key? Fresh lime juice. Not bottled, not concentrate–fresh. If you happen to be lucky enough to own an electric citrus juicer –than you’ve really got no excuse! 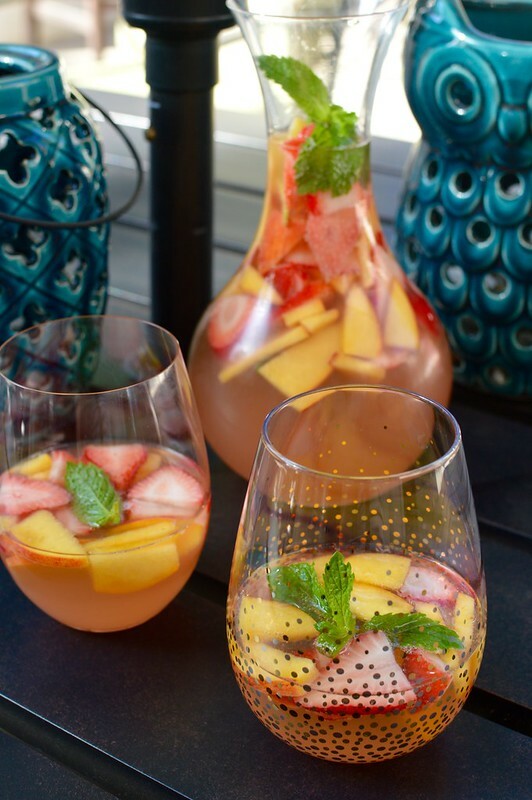 For our last Family Dinner, I made a few pitchers of these summery Passion Fruit Margaritas. I broke out seester’s electric juicer and whipped out a quart of fresh lime juice in under 10 minutes. But even without the juicer, I still use fresh limes—-it truly, truly makes all the difference in the world! 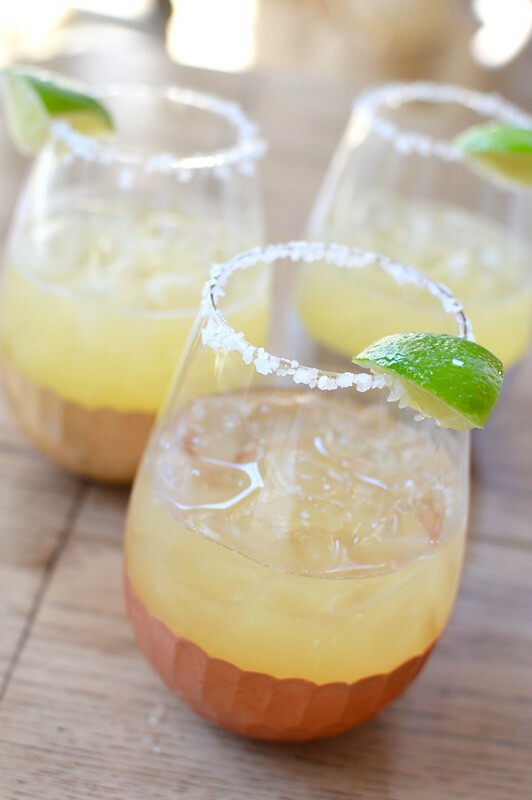 These Passion Fruit Margaritas were a delish take on the classic marg. The fruit’s natural tartness paired beautifully with the limes and added a fun tropical spin. Oh! And here’s a tip— if you find limes on sale, get a whole bunch and juice them. The juice freezes beautifully and you can have fresh margs all year long. Combine and stir all ingredients in a large pitcher. To serve, rim glasses with salt. 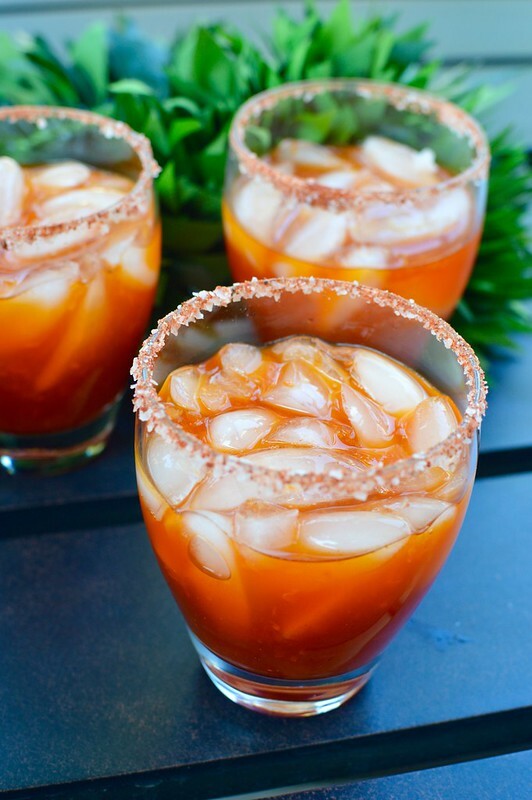 Add ice and fill the glasses with margaritas. Garnish with additional lime wedges and CHEERS!